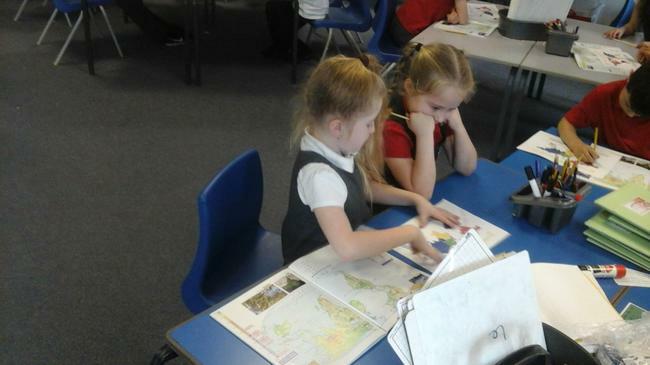 In 2DP we have also started using atlases to identify the continents of the world. 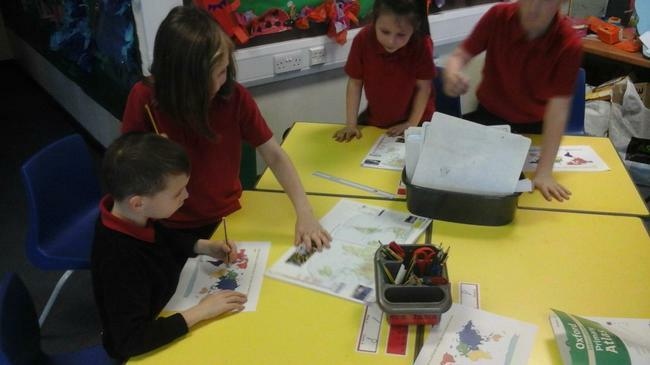 We discussed how the continents have changed over time and we identified them on a map. 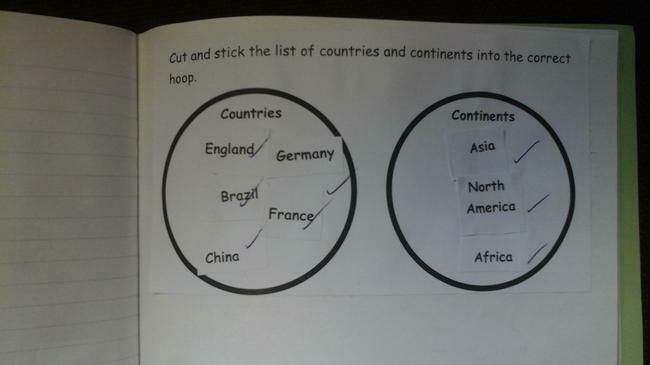 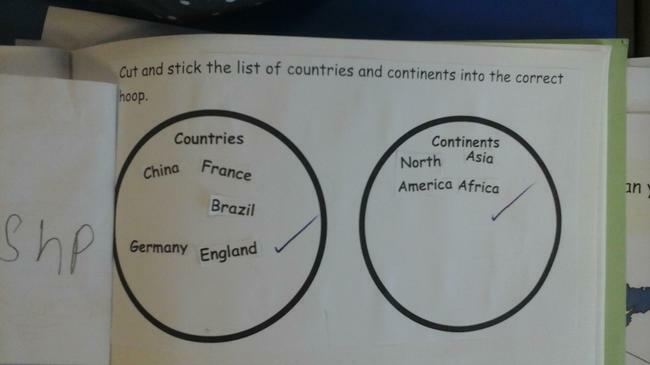 We talked about how continents contain countries and talked about which continents some of the countries we know are in like England, China, Poland, and India. 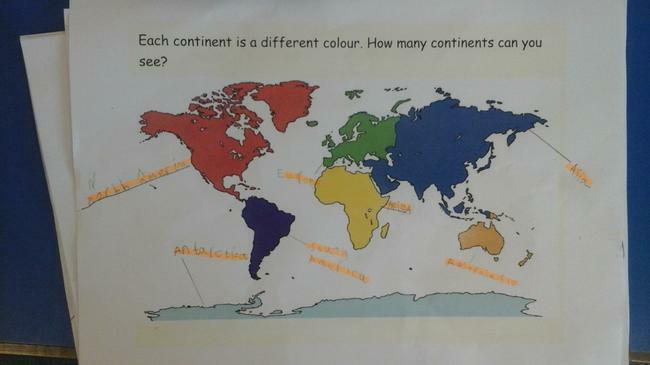 This half term we are beginning our learning journey by finding out about the continents of the world. 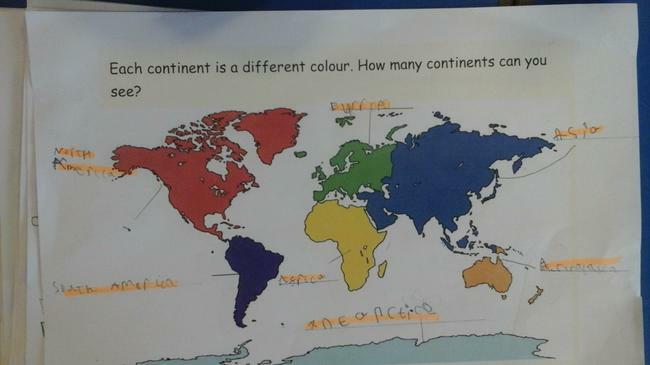 First we learnt about how the world has changed over time from one giant piece of land called 'Pangea' to the world we see today with 7 large pieces of land called continents. 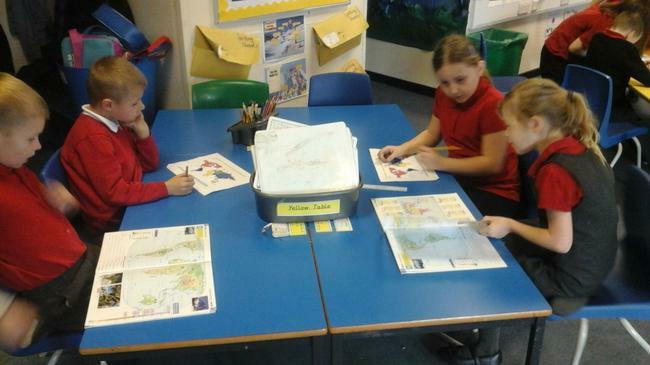 We used maps and atlases to label the continents and tested our knowledge by sorting continents and countries.